The RAM 2500 is a pickup truck with either two/four-door options and offers ten trim models from the assembly line, such as the Laramie, the Power Wagon Laramie and the Big Horn. The pickup comes fully packed with plenty of powertrain performance along with its cab system, exterior and interior options. 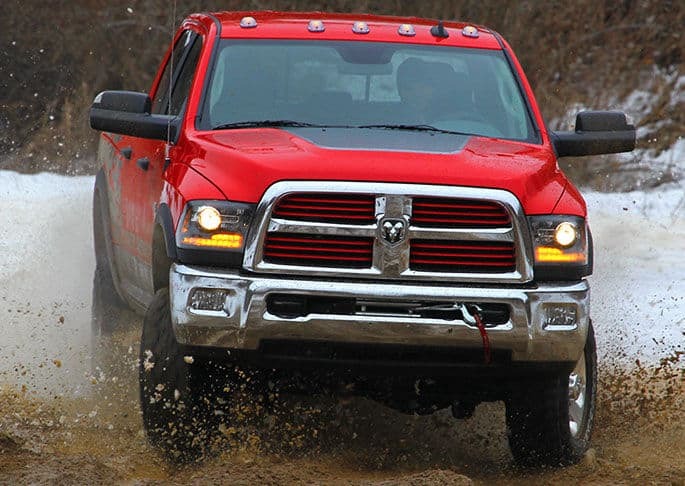 The RAM 2500 is the segment to beat in the pickup class and the truck you'll want to put on your driveway in 2016. 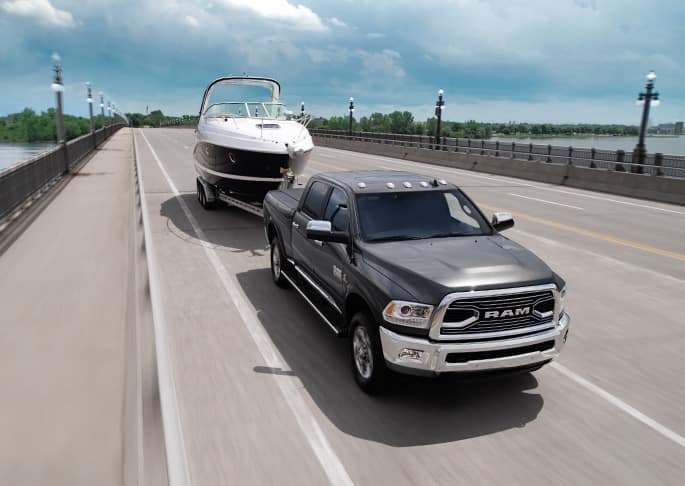 The RAM 2500 offers the best powertrain for under its hood with three top of the line engines and transmissions to choose from. The 6.4-Liter Hemi V8 Engine, a powerful engine that is packed with fuel saver technology. A four-wheel driver system, the engine is a V8 cylinder with overhead valves and a six-speed shiftable automatic transmission that gives plenty of power of 410 horsepower at 5,600 RPM and torque pressure at 429 ft-lbs at 4,000 RPM. The towing ability of the pickup can pull a maximum load of 16,320lbs and a maximum payload of 3,990lbs. One of the other features offered in the pickup comes a five-link coil rear suspension system the helps utilizes the spring technology, the standard system helps reduce overall friction without sacrificing heavy-duty towing capability, which improves turning ability and an enhanced ride that gives the driver confidence on every driving surface. The 2500 brings nothing but the best with its interior and exterior features with plenty of options from each model to choose from. One of the featured models is the Big Horn, packed offering the Black Appearance Group package. The Black Appearance Group offers black door handles, a black grille with black billets, black bumpers, 20-inch black painted aluminum wheels with black center hubs, and black headlamp bezels. The Big Horn gives you the option of either a crew cab or mega cab for the best cargo option with the signature RAMBOX Cargo Management System placed on the bed of the truck. 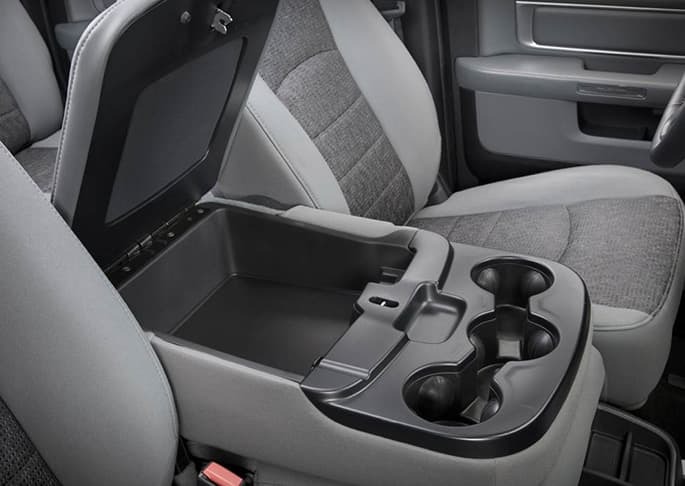 In the interior of the pickup comes the option of either 2/5 passenger seating depending on the cab size with 60/40 split folding capabilities for the five-passenger. Other features offers heated front seats, cloth bucket seats, electronic vehicle information center, and a mounted leather steering wheel along with its signature Uconnect Access system with the option of 5.0/ 8.4 or 8.4 NAV. DO you have any video blogs? Is there a way to see my current credit score to get approved for a vehicle? The 2500 brings plenty of safety to its driver with up to twenty safety and security features offered. Some of the safety features include its standard airbag system, along with ventilated front disc and solid rear disc brakes, Keyless enter n' go, remote start system, stability control, traction control, post-collision safety system, Parkview rear backup camera, and plenty of other cool features. The RAM 2500 is the one of the best truck in its class and with its state of the art packed cargo system; it can be the overall best. The exterior and interior brings its best and will make you want a RAM 2500 pickup today.